SAI Global has been appointed by Woolworths as an approved service delivery partner of their new Supplier Excellence program, which focuses on improving quality and product safety standards across its extensive global sourcing network. SAI Global helps customers of all sizes throughout the entire supply chain operating in the Retail, Food and Agribusiness industries across over 100 countries. SAI Global is one of four certification bodies to be appointed by Woolworths to conduct audits across their food supplier base in Australia and New Zealand following an extensive tender process. They will continue to support Woolworths, ensuring that Australians can be confident that the food they are purchasing is of the highest quality standard. “We are excited to be working with Woolworths to help manage its food safety compliance through the supply chain,” said Paul Butcher, Chief Commercial Officer, SAI Global. This appointment further demonstrates SAI Global’s commitment to providing risk management solutions to Retail, Food and Agribusiness (RAF) industries, helping to embed product safety processes and culture, ensuring higher customer satisfaction and safety. 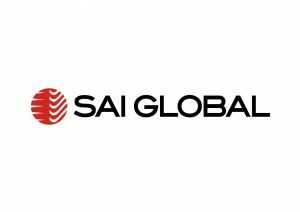 SAI Global employs around 2,000 people across 29 countries and 51 locations across Europe, North America and Asia. They provide a range of bespoke and generic solutions to achieve compliance, manage and monitor risks, train staff, improve communications, demonstrate transparency of supply chains and achieve certification.